We are now heads up. 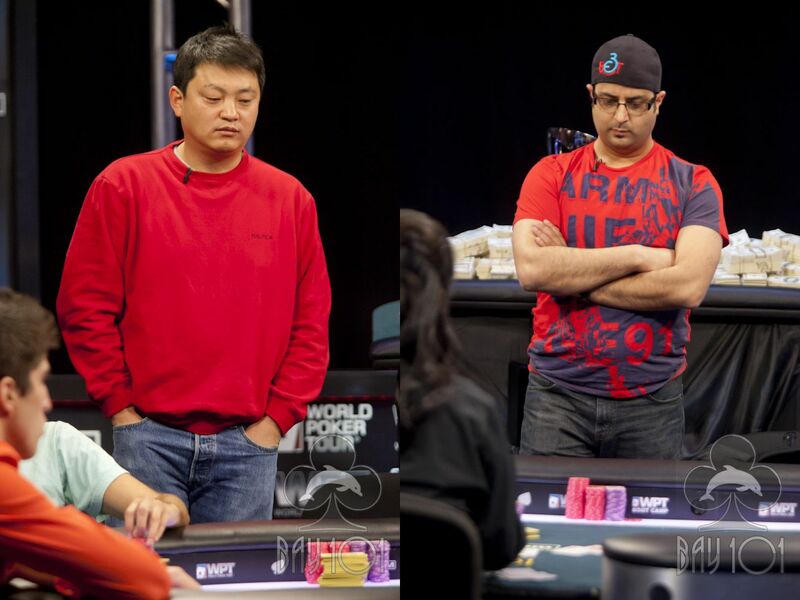 Moon Kim (on the left in the photo above) has the lead with 6,735,000 chips, while Ubaid Habib (right) has 3,760,000. With the blinds at 40,000/80,000, there still a lot of play for this heads up battle.